For the past year Harlem rapper Azealia Banks has been hustling on the side making soaps for discolored bussies that are very popular with her gay fans. 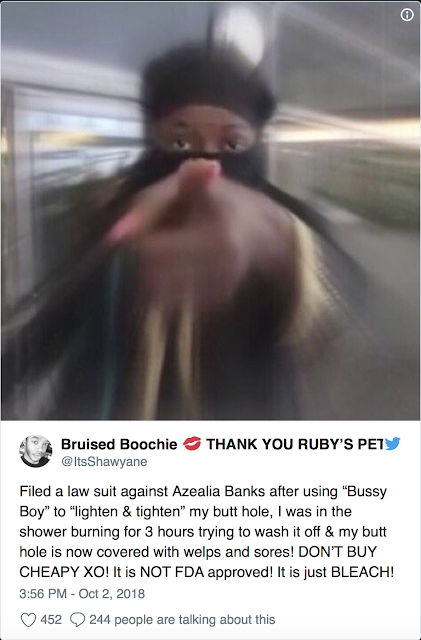 Azealia has vowed to sue after her fans discovered that the picture the person was using as proof actually came from a dermatology website. 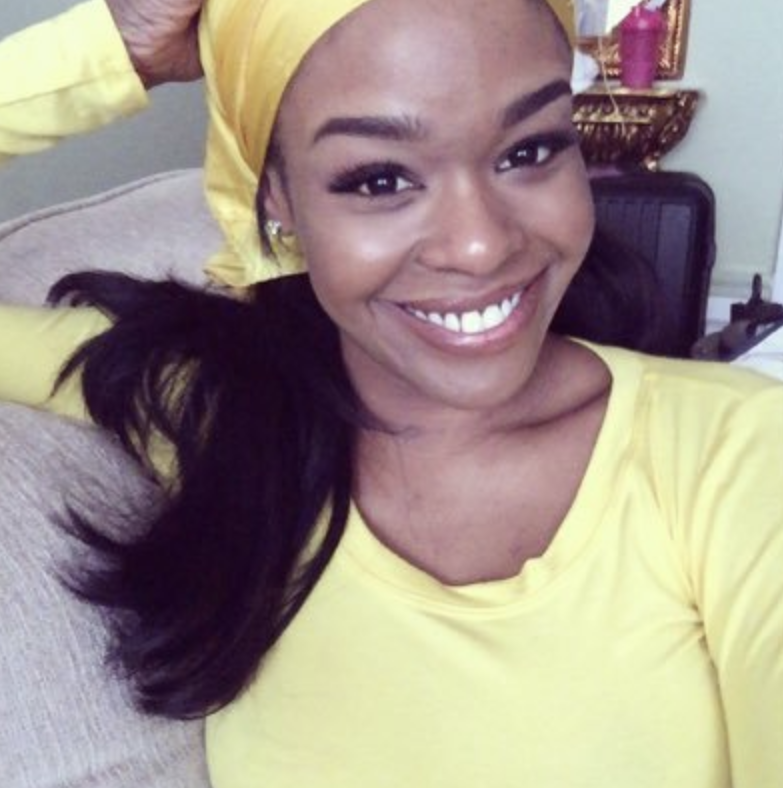 There are countless positive testimonies [and pictures] online from Azealia's satisfied customers. She probably makes that soap with bat blood and chicken feathers. Hey gay Bois if you wanna keep that bussy light and tight, stop shoving .....oh nevermind. I'm just. Wow. You know. 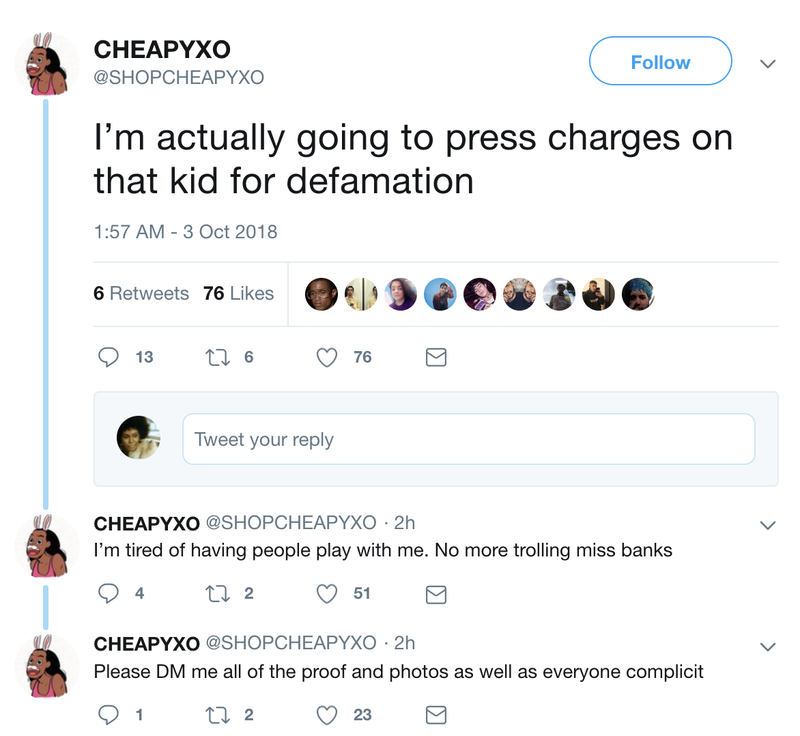 I can't knock hustle but let's be honest we know she ain't gonna file charges and frankly wouldn't be surprised to find out she is in on it. Probably homemade 'cake soap' that she knocked up with her left over 'baby's first bleaching kit' sets. What's wrong with using cocoa butter wash and cream. THE INGREDIENTS: Witch Hazel, Coconut Oil, Lactic Acid, Vitamin C, Tea Tree Oil. I saw her soaps. The ingredients are regular ingredients EXCEPT Lactic acid. Lactic Acid, Glycolic acid and Salycylic acid are the 3 peeling acids that are used at spas to do skin peels. Its not about having it in, its about the percentage of the acid used. Was it .02%? or was it 20%. there is a difference. It is recommended that when using an acid peel you must disclose the percentage of the type of peel used. 10%, 20% but everything over 30%-70% is too strong. 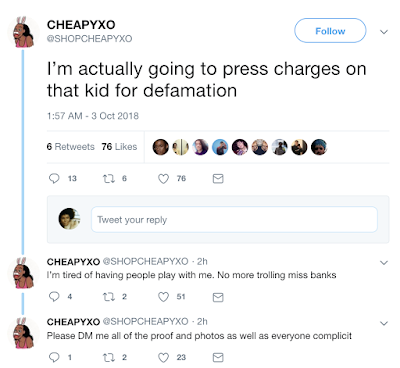 Second, WHY MUST he go on social medial to talk about his wish to lighten and tighten his bootyhole? Why not solicit a lawyer and do the proceedings through them. I swear social medial makes fools of people.